All That Spam: I brushed my hair 3 days ago and I have no idea whose shirt this is. I brushed my hair 3 days ago and I have no idea whose shirt this is. 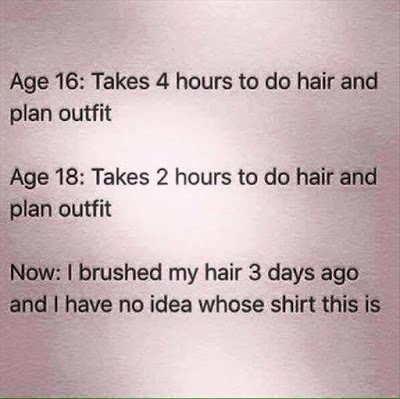 Age 16: Takes 4 hours to do hair and plan outfit. 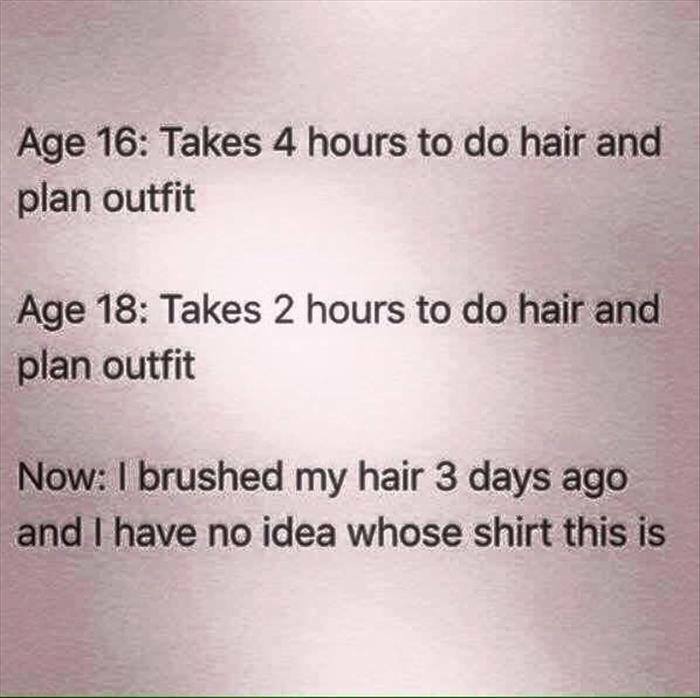 Age 18: Takes 2 hours to do hair and plan outfit. Now: I brushed my hair 3 days ago and I have no idea whose shirt this is.